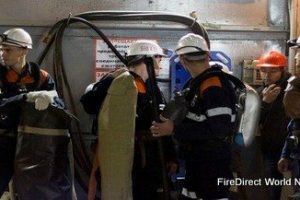 The Petroleum Safety Authority Norway (PSA) has decided to initiate an investigation of the hydrocarbon leak that took place on the Oseberg A facility on 17 June 2013. The hydrocarbon leak occurred just after 07.00 hours on Monday, 17 June, in the M02 main deck area on the Statoil-operated process and living quarters facility Oseberg A (Oseberg field centre) in the northern part of the North Sea. At this time, the PSA does not know the volume or rate of the leak. Emergency shutdown systems were activated, production was shut down and the facility was depressurised. Personnel on board mustered to the lifeboats. There were 308 people on board Oseberg A when the leak occurred. No one was injured in the incident. The PSA has decided to initiate an investigation of the incident. The PSA’s investigation team plans to travel out to Oseberg A on Tuesday of this week. The objective of the investigation includes clarifying the course of events and identifying triggering and underlying causes. The investigation will result in a report that will be published on psa.no.